5. Pick a String color of your choice and GO CRAZY! Guess I am a little obsessed. They all looks fabulous and I love the ampersand. You are so clever! If you have a minute to spare I would be thrilled if you could share your post at my weekly Say G'Day Saturday party. It has just started and this would be a great addition. Thanks so much for linking this up to my Creative Ways Link Party! I love the string art you've done. I'd have a hard time picking a favorite design, they are all so cute. The anchor is particularly great right now with summer upon us! Hope you'll be back with more awesome posts to share at this week's party! Thanks so much Nici! and THANK YOU for featuring me this week- I almost peed myself with excitement! I have to say I am really diggin on my anchor, your right super perfect for the Summer Decor! Saw your post on Link n' Blogs. 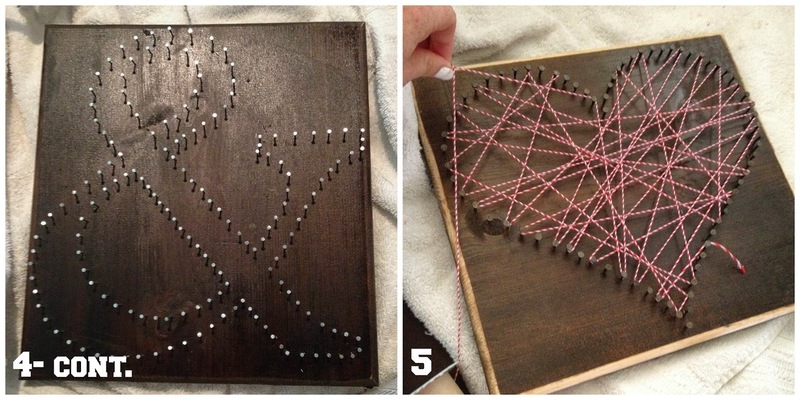 I love string art but have been worried mine would turn out as a disaster lol. I love yours - especially the anchor! I think I am going to try to make one for my sister's bridal shower - you have definitely inspired me! You have a new follower. 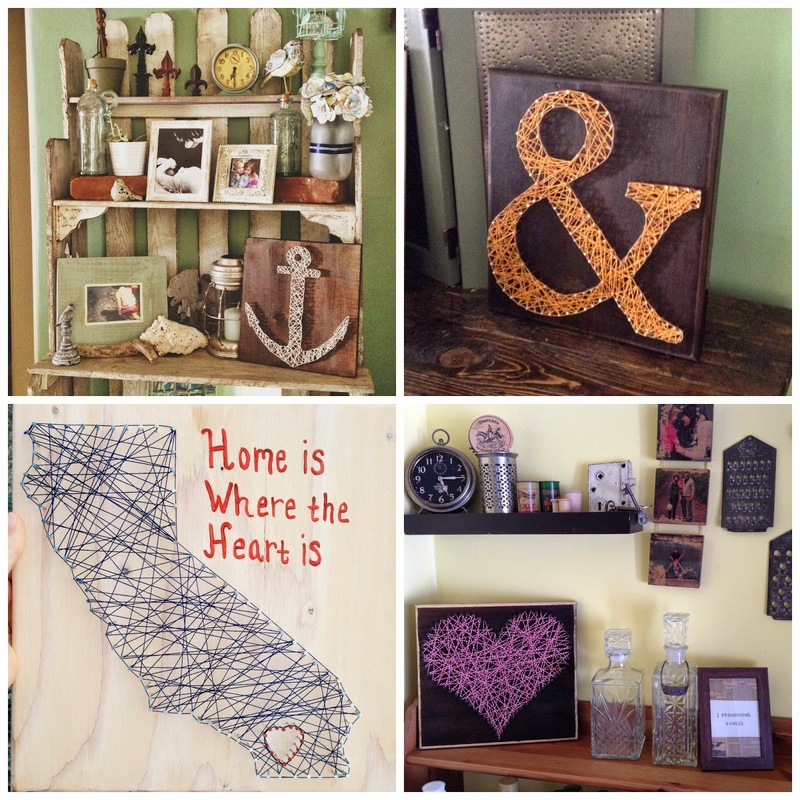 Thank you so much for sharing your creativity with us at Show-Licious Craft & Recipe Party! Join us again this Saturday morning! You've been featured at Link'n Blogs. Congrats! Stop by to see your feature and link up more fab projects. YEA!! So happy! Thank you Daniela! I love this fun project so much I am featuring it Saturday morning at my Show-Licious Craft & Recipe Party! Please come party with us again! This looks awesome, Cassie! Love it! This is so awesome. I've been wanting to make this ever since I saw it on pinterest, and after looking at yours, makes me really want to try it! 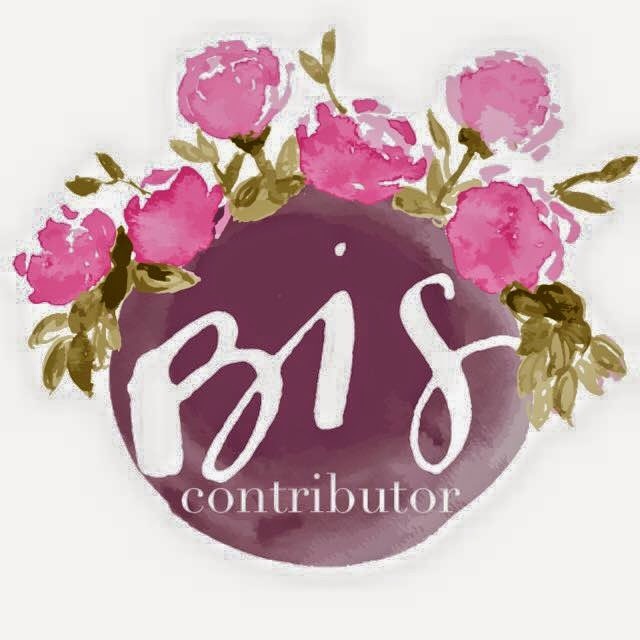 Coming from the bloggers digest link up to say hello! Rosy! Just. Do. It. Seriously you won't regret it! Great job, I used to have some string pictures like that my Mom bought for us almost 40 yrs. ago now. These are so awesome! Love the anchor! Your awesome project is being featured tomorrow at Your Designs This Time! Thanks for sharing with us. Thanks so much for featuring me Emily! Cassie, this is just so on-trend and exactly what I wanted to round out my summer mantle! Definitely pinning this! Thank you for linking up at Thank Goodness It's Thursday at Ruffles and Rain Boots! 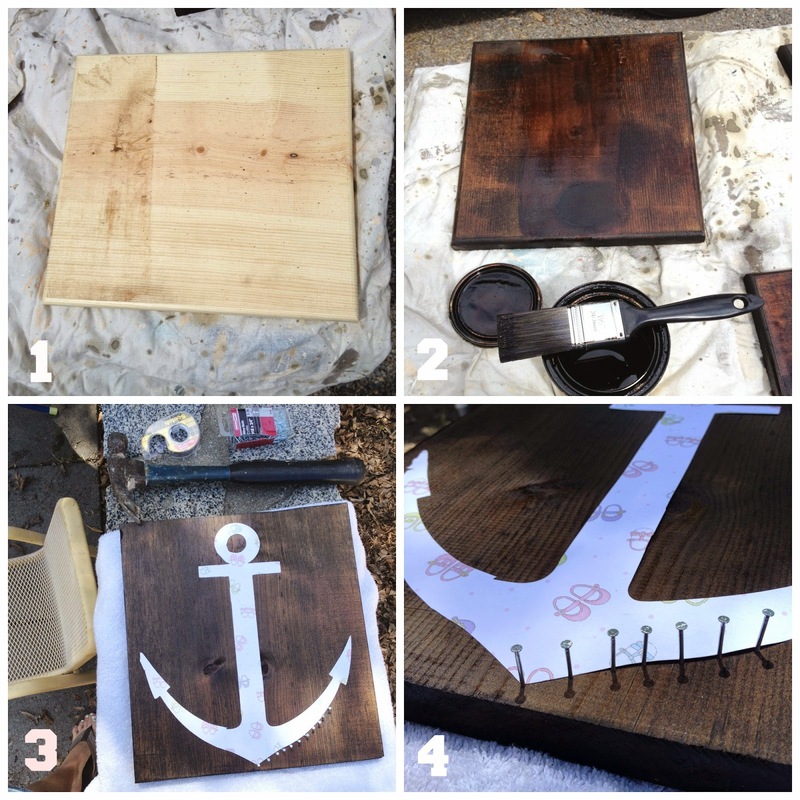 Hope to see you next week with these feature-worthy crafts! Love your link up! I will be there! Thanks Sarah! 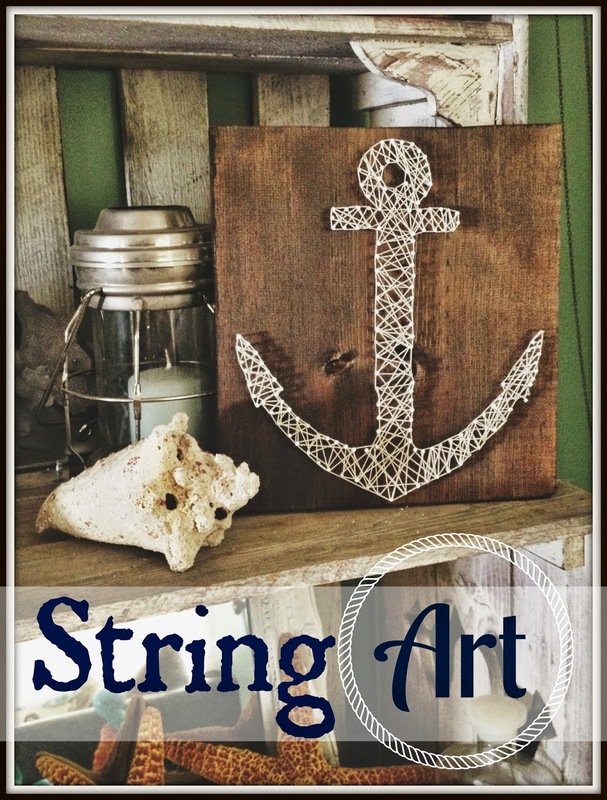 I featured your cute string art on Mod Mix Monday at Mod Vintage Life! Thanks so much Nita....and thank you for featuring me! It was such a fun project! Just like Nita, we think this is feature-worthy! You'll be featured at tomorrow's Thank Goodness It's Thursday at Ruffles and Rain Boots! Thank you for linking up and we hope to see you again for this week's party. Beautiful!! I want to make something like this for Christmas decor or gifts. Maybe the letter K for my new nephew, Killian? ?